Normani and 6LACK’s “Waves” video was well worth the wait. Although the twosome dropped their sinuous collab back in November, they’re just getting around to releasing the accompanying visual today (February 10). That’s probably because the Fifth Harmony alum has been keeping very busy of late. She kicked off the new year by joining forces with Sam Smith on “Dancing With A Stranger,” which is rapidly shaping up to be her next big hit. The anthem rocketed up the Billboard Hot 100, reaching a new peak at number 26 this week. Meanwhile, it already went Top 3 in the UK. And I wouldn’t be surprised to see “Waves” replicate that success now that it’s getting a little bit more love. It looks like no expense was spared on the epic video. 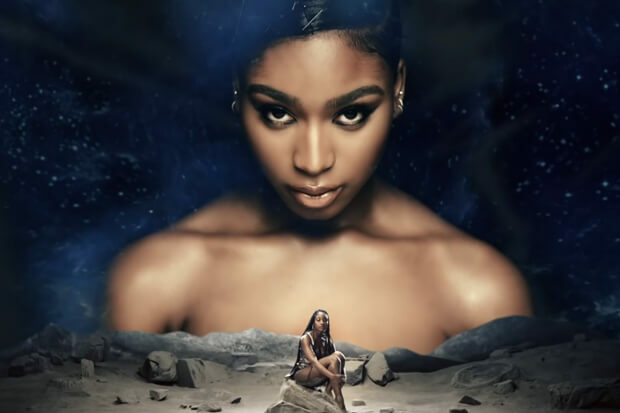 Directed by Emil Nava, it sees Normani take us to another galaxy and treat us to some evocative dance routines. Looks are served, and some innovative special effects will leave viewers in awe. There is a turn when 6LACK joins the gorgeous diva for the second half of the release. Together, they showcase their onscreen chemistry and cap things off by drifting on a floating bed as the camera pans out. The “Love Lies” siren hopped on social media to thank her fans for being patient while waiting for the project. “I kept y’all in mind the whole time working on this visual. I thank you for being patient with me,” she wrote. Things got even sweeter as she continued. “I would always see y’all blowing me up about the video and I only wanted it to be perfect for you. Y’all deserve it.” Hopefully her hard work pays off. Check out the blockbuster below!